Does Israel Really Care That Trump Was Elected? The US presidential election is thankfully finally over. The American people have spoken, and Donald Trump will be the next US president. Now it is time for the Democrats in the US to accept the result and the way in which US democracy works, and to get on with living the next four years as positively as possible. Many around the world have taken an interest in the election. Some people have been involved in this almost to the extent that they are involved in their own local elections. Such is the extent of the global influence exerted by the US and its leader. Israel has been no exception, with media continually carrying the latest US election stories and Israelis following the stories very closely. In Israel's case, it is understandable that individual Israelis have an interest in the outcome of the election. The US is Israel's most important international ally, which is helpful for a country that continues to fight an international battle against those who call for her destruction. There are many Israelis who believe that the views of the US president could be a great influence on the safety and the security of the State of Israel. But how much of a difference does it really make to Israel as to who is sitting in the Oval Office? Is it possible that Trump could be so much better for Israel's interests than Hillary would have been? Would Hillary really have been such a disaster for Israel's interests if she had been elected, as many Israelis believe? Because it is true that Republican presidents have historically been more understanding of Israel's security challenges over the years and have been more supportive of Israel's position, many Israelis assume that a Republican president will automatically be better for Israel than a president representing the Democrat party. There is certainly some justification to that point of view. But I am not convinced that one president can really be so much better for the interests of the State of Israel than another. 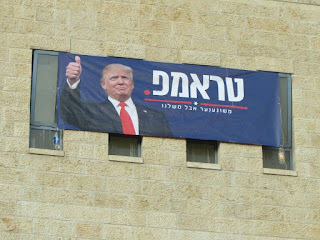 While I feel that Trump may be a more understanding president for Israel, I am tempering my expectations about how the extent to which he will really be able to help Israel's cause. In the same way, I am not convinced that Hillary would have been so terrible for Israel, in the way that some of her detractors like to present. 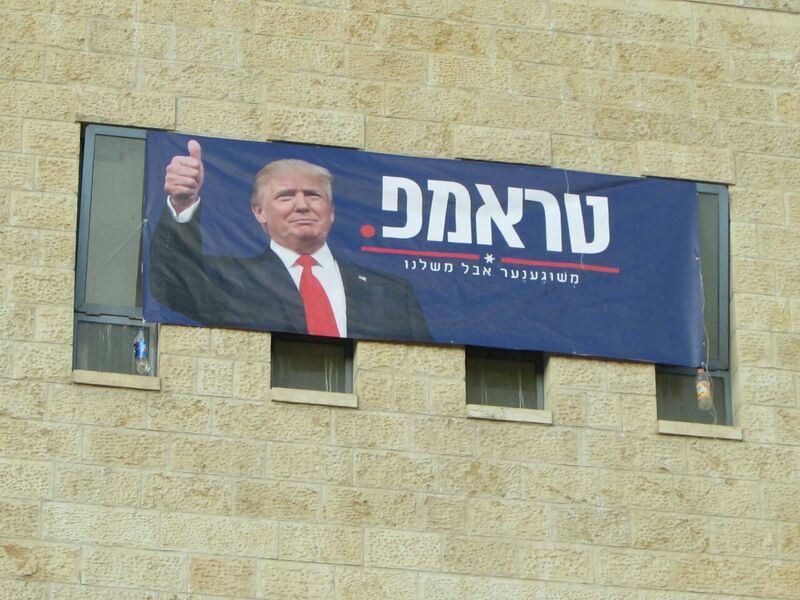 There is no doubt that Donald Trump made some remarks during his election campaign that were pleasing to the ears of many Israelis. His desire to move the US embassy to Jerusalem would finally bring some international recognition of Israel's rights to Jerusalem as her capital. His desire to build a wall along the US border with Mexico shows some understanding of Israel's construction of a safety wall in some parts of the country to reduce terrorist attacks. His comments about keeping tighter controls over Iran have come in contrast to US policy pursued to date, and stand out in criticism of Iran's antagonistic position towards Israel. But these, and other positive comments, were all simply electioneering rhetoric. I am sure that Trump understood that many Jews in the US were Hillary supporters, and he wanted to find a way to convince at least some of them to vote for him. US policy on Israel is a sure-fire way to get US Jews to think twice about who they wish to support in the election, and it is quite conceivable that Trump was using this lever to try to win support. It is not obvious that any of these desires will come to fruition during his term as president, despite the best will in the world. Making small things happen takes a huge effort, even if you are president of the US. There is a constant battle against interest groups and bureaucracy, and President Trump will have his work cut out to make things happen. We can expect that he will give up on pushing through legislation that he has no particular interest to pursue, especially if the headwinds are strong. I suspect that the move of the US embassy from Tel Aviv to Jerusalem falls into this category. The Obama presidency is regarded by many Israelis to have been one of the toughest for Israel. President Obama and Prime Minister Netanyahu did not get along on a personal level, and this relationship characterised the period during which Obama was in office. The agreement with Iran, which worked against Israel's national interest, is surely a result of his personal lobbying. Despite this, many positive things were achieved for Israel during Obama's presidency. The only veto cast by the US at the UN Security Council during Obama's presidency was on a resolution condemning Israel. The US opposed attempts by the Palestinian Authority to gain membership of international organisations, even during the Obama presidency. The US supplied Israel with sorely-needed weapons during Operation Protective Edge, and the defence loan guarantee agreement, providing millions of dollars of military aid to Israel, was renewed. Despite Obama and his criticisms of Israel, Israel somehow succeeded in doing all that was required to protect her national security and to enjoy eight years of growth and relative prosperity. This all indicates that the presidency, and the relationship between the two countries, is larger than one individual. It all about national interests and priorities, and these do not change substantially when a new president takes office. Israel will continue to be the only democracy in the Middle East and, therefore, of major importance to the US's national interests in a highly volatile part of the world. And the US will continue to be a source of huge support to Israel's economic and defence needs. Sometimes the relationship will be slightly closer, and at other times less so. But it will always be important, at least for the foreseeable future. This is in spite of anybody who may be resident in the White House. What Israel really cares about is that the US continues to occupy its position of dominance in the international community. I am sure that President Trump and Prime Minister Netanyahu will have a closer relationship than the one that existed between Obama and Netanyahu. This will be good news. I am sure that Israel will find an ear that is prepared to listen when talking to the Trump administration, so that is also good news. I am equally sure that Trump will not have a free hand to carry out all of his election promises, so expectations should be tempered. Overall, indications are good, but we should be cautious to judge things only by results. Predicting how things will be ahead of time is dangerous. If the Obama presidency was bad for Israel, and Israel survived it relatively unscathed, it is fair to assume that Israel can survive almost any president and situation. I think that Hillary would probably have been better than Obama for Israel, and it may be the case that Trump will be better than both of them. But Israel will survive and prosper irrespective of who rules the Oval Office. Israel is simply too important of an ally to the US for any US president to neglect the US relationship with Israel. It is my hope that Trump will live up to the expectations of those who believe that he will do well for the US and for Israel. And I hope that all his detractors will be pleasantly surprised as time goes by. Mainly, I hope that he will maintain the US's position on the global stage. We will only really be able to judge this in four years time.